As part of our year-round fundraising program, Ronald McDonald House Charities® of Greater Houston/Galveston, Inc. works with a local recycling center to receive money for collecting tabs from aluminum cans - including those from soda cans, vegetable and soup cans, and pet food cans. It's easy, free, and you help a great charity! Whether you are a business, a school, a scout troop, or an individual wanting to make a difference, you can collect pop tabs. Where do you take the Pop Tabs? You can drop-off pop tabs at your local Houston or Galveston area McDonald's restaurants. Tell them it is for Ronald McDonald House Charities® of Greater Houston/Galveston, Inc. and you will receive a free 16 oz. product as a thank you for your support. Why do we only collect the Pop Tabs and not the whole can? Well, it's cleaner and easier to collect. Actually the pop tab is made entirely of aluminum whereas the can is a combination of various metal. So you get more from the pop tab than the can itself. What do we do with your donated Pop Tabs? Donated pop tabs are taken to C&D Scrap Metal, where they are weighed to determine their value (values vary). The recycling center then sends us a check for the value of the pop tabs. 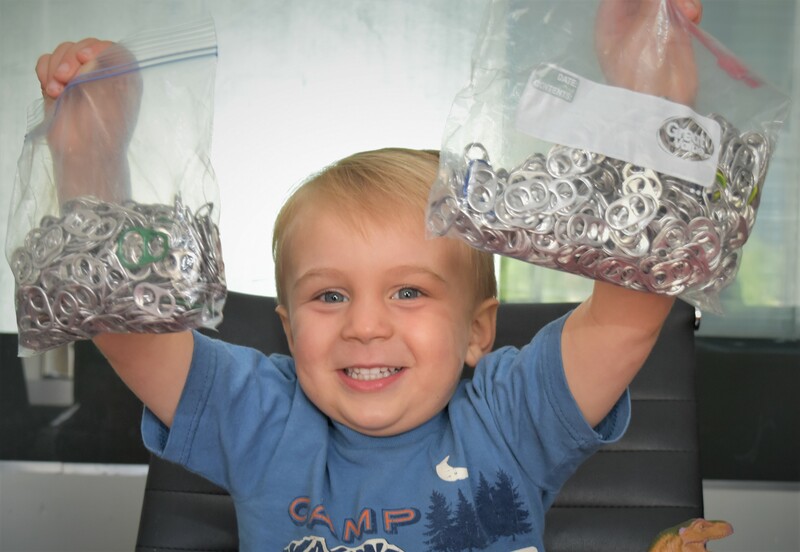 RMHC® uses the pop tab proceeds to fund our programs.